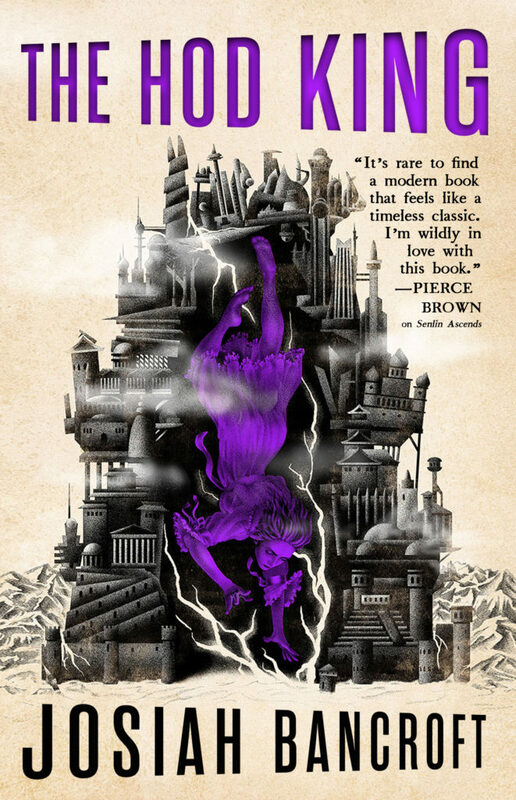 Josiah Bancroft’s stellar debut series, The Books of Babel, began with Senlin Ascends (US | UK | ANZ), which was called “a modern book that feels like a timeless classic” (Pierce Brown), and the sequel Arm of the Sphinx (US | UK | ANZ) publishes in March. But today we can’t wait to show you the cover for book three, The Hod King. Senlin’s journey up the dangerous and labyrinthine world of the Tower continues in December. Art by Ian Leino with design by Lauren Panepinto.